This wide angle image is made of 13 images taken with F4 105 mm lens and 8 images taken with F8 500 mm mirror lens Rubinar. 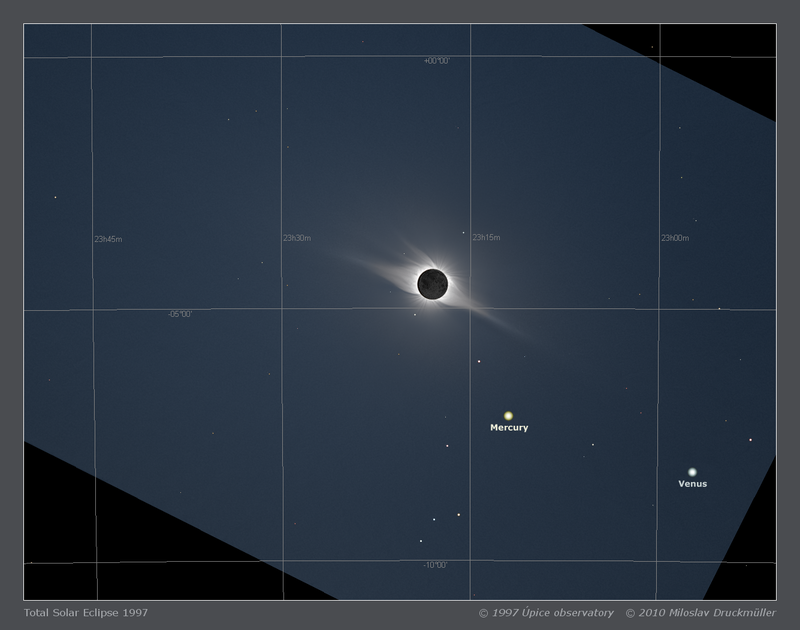 Except for the eclipsed Sun, the most prominent objects are Mercury and Venus (see the image with star map overlay). 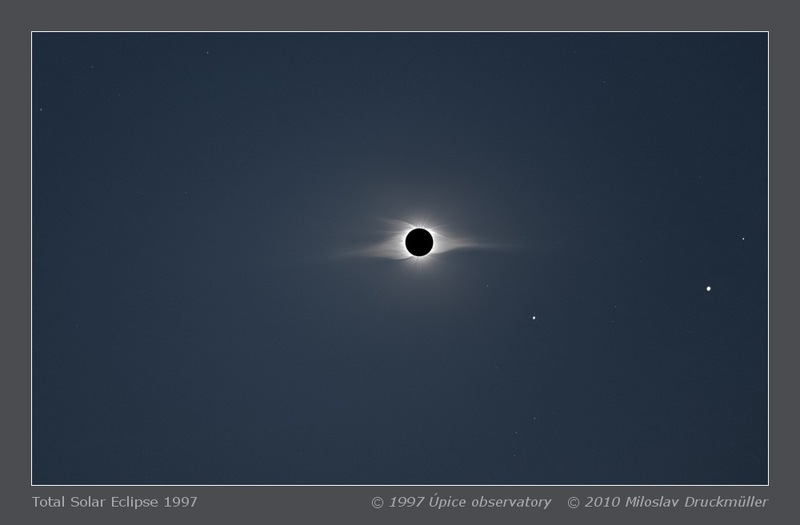 It is possible to identify stars down to about magnitude 6.5. Processing Composition of 13 images taken with 4/105mm lens and 8 images taken with 8/500mm Rubinar. 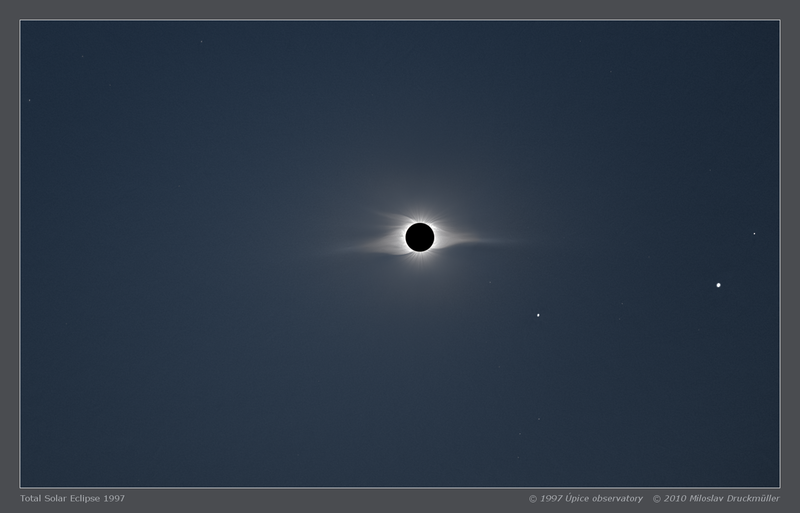 Images were aligned (partially by means of phase correlation and partially using centroids of Mercury and Venus) then processed using Corona 4.1 software. Final processing done in ACC 6.1.